This past year I’ve been doing a bit more gardening. In particular I’m quite proud of my compost heaps. I used to just put things in a pile and it would take years to rot down (too dry). But, I bought three compost bins and have sought to keep it the right moisture and mix of materials. Producing good compost is almost as satisfying as growing a good plant, and any kitchen leftovers get put on the heap – every scrap helps – as they say in the manual of organic gardening. 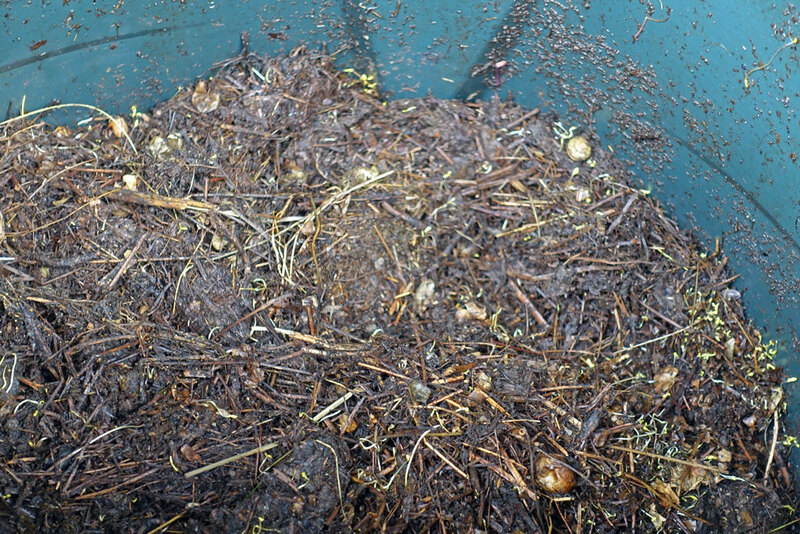 It may not look much to you, but to some – well rotted compost is a thing of beauty. Quite a few seeds are germinating because it is now the right temperature. I will leave the lid on for a few weeks and let the seeds die away before spreading on the garden. At the bottom of my garden I grew a lot of comfrey. 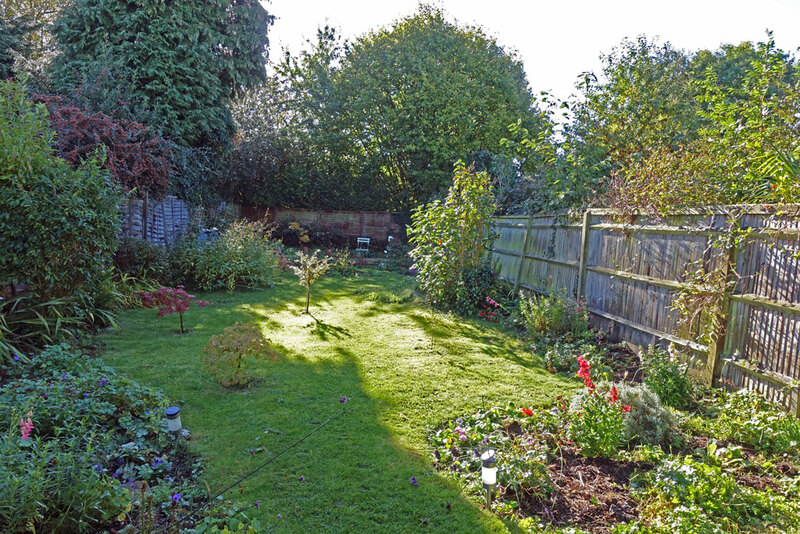 It is good ground cover to reduce the need for weeding. It also makes excellent material for a compost heap. At this stage of the decomposition process, there is quite a sweet smell and a huge volume of plant material has been has been broken down and rejuvenated into fertile, rich compost for the next generation of plants. 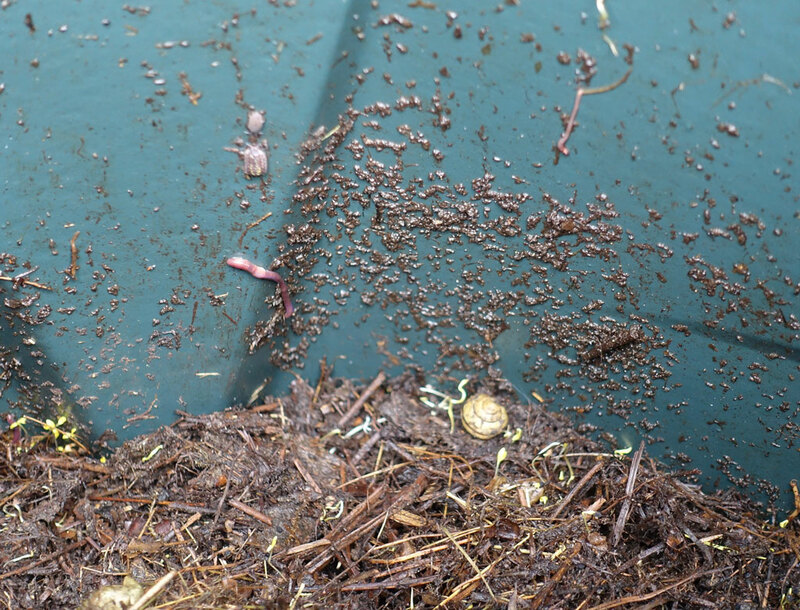 The decomposition is helped by worms, slugs, wood lice and host of invisible bacteria, bugs and insects. 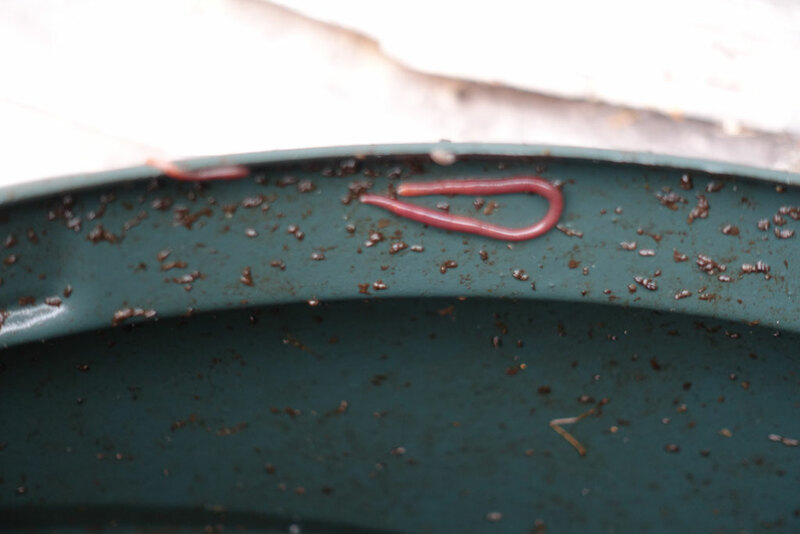 I love the bright red worms amongst the dark compost. There was an explosion in their population a few weeks ago. They make good fertiliser as you can see by the deposits on the outside of the bind. 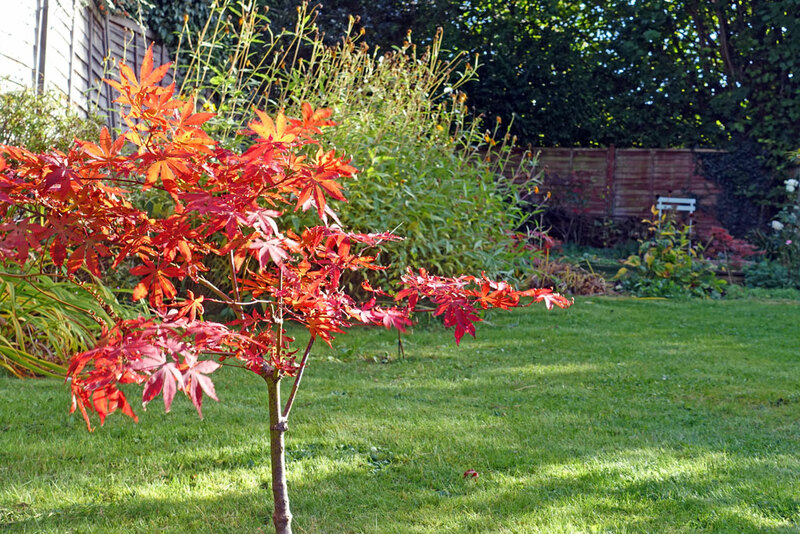 I worry a little that I’ve created the perfect breeding ground for slugs to escape and terrorise my plants elsewhere in the garden – but for the moment I will give them the benefit of the doubt and thank them for breaking down my old plants to produce compost. 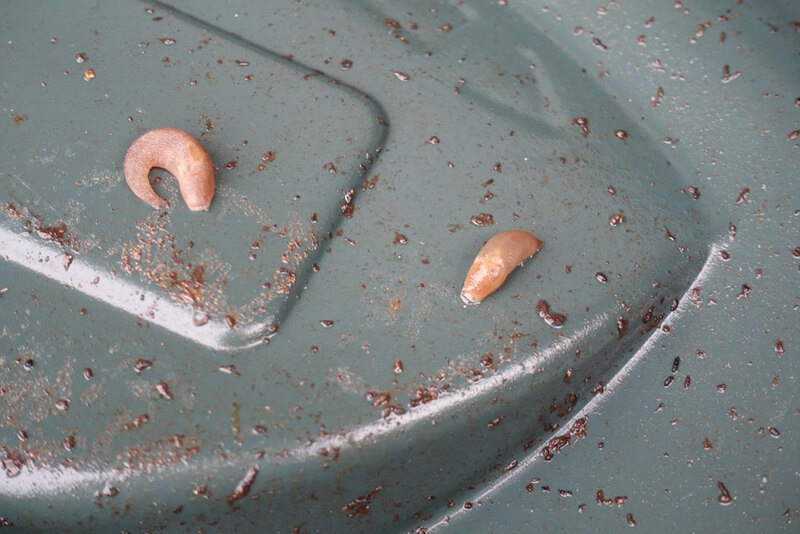 It shows, even slugs can have a role in the garden – at least it makes a change from slicing them in half, which never felt a very vegetarian thing to do. Just in case your fed up of looking at compost and the waste products of slugs and worms, here is a picture of above ground. Looking really good Tejvan . Would you like some garden gnomes to go round your pond?!!! I did not know there was a pond? I’m sure you had a pond closer to the house ? or was that my imagination? The original pond you dug was close to house, the new one is at far end!